~ Andrew T. Cohen, M.D. F.A.C.S. Dr. Andrew Cohen is a native of Southern California and has an office and an accredited, state-of-the-art operating room in Beverly Hills, California. His office is on Brighton and Canon, right in the heart of Beverly Hills. Dr. Cohen is Board Certified by the American Board of Plastic Surgery and is proud to have served as the Clinical Chief of Plastic Surgery at Cedars Sinai from 2010-2014. He completed both his general surgery training and plastic surgery residency at Loma Linda University. Dr. Cohen comes from a long line of family surgeons. His father, a prominent general surgeon in Huntington Beach, California, instilled a strong work ethic and love of surgery to all four of the Cohen sons. The oldest, Dr. Mitchell Cohen, M.D. is an orthopedic spine surgeon in Newport Beach, California. Dr. Stephen Cohen is a colorectal surgeon in West Virginia, and Dr. Jeffrey Cohen is a colorectal surgeon in Atlanta, Georgia. Dr. Cohen’s mother is a retired school teacher. Ten years ago,my primary care physician, a professor at UCLA, referred me to Dr. Andrew T. Cohen. This initial referral let me know that Dr. Cohen’s abilities were highly regarded and that he was respected by people who knew and trained physicians. Recently, Dr. Cohen performed a second and different major procedure for me . Again, I found that my confidence was not misplaced. Dr. Cohen and Shelley are caring, kind and straightforward. Dr. Cohen personally attended to each detail of my treatment and recovery. I have had no complications and I am extremely pleased with my results. Dr. Cohen has specialized fellowship training in aesthetic and oculoplastic surgery with Drs. Rod Hester, Mark Codner, Foad Nahai and Clinton McCord in Atlanta, Georgia. This additional training makes Dr. Cohen a highly specialized plastic surgeon of the face and eyelids. In addition, body contouring, liposuction, breast augmentation, and tummy tuck (abdominal contouring) are some of the few cosmetic procedures that are Dr. Cohen’s specialty. Dr. Cohen is active in the academic aspects of plastic surgery in the form of invited lectures and publications. He has participated in missionary work in Argentina, operating on children with cleft lip and palate defects. Dr. Cohen is happily married and is a father of three sons. He is a competitive half marathon runner. He is an avid SCUBA diver, skier, and photographer. Please browse the rest of the pages to see before and after photos from some of Dr. Cohen’s patients. Our goal, at Dr. Andrew Cohen’s Beverly Hills office, is to provide our patients with the highest quality plastic surgical care. This starts from the moment of your initial consultation, through the final result of your cosmetic surgery procedure. Dr. Andrew T. Cohen is dedicated to providing the ultimate in customer service, with his team of highly trained professionals. We pride ourselves on providing the highest quality care in an advanced and safe environment with great attention to patient confidentiality. Your safety is always our first priority. At the time of your initial office visit, your concerns about your appearance will be discussed in detail. Dr. Cohen will use his expertise to advise you whether plastic surgery is a good choice for you. You will be photographed using digital technology, and your pictures will be reviewed with Dr. Cohen to try and see if he can meet your expectations. In addition to discussing the surgery in descriptive terms, now there can be an agreement in visual terms. Instead of only hearing about the surgery, now you can see the surgical plan, and you can confirm that you like what you see. Dr. Cohen and his professional staff will guide you through the decision making process in a kind and professional manner. They are experienced in making all of the necessary arrangements for aftercare, transportation and preoperative laboratory tests. You will be given a list of the appropriate medications as well as a list of vitamins and homeopathic preparations to take to minimize your recovery and maximize your result. A second appointment will be made to give you time to consider your choices and to compile a list of questions which may come to mind. Cleveland, Ohio, 1990-1994 – M.D. Cedar-Sinai Division of Plastic Surgery Meeting, ” Difficult Breast Cases,” October 6, 2005, Presentation to the Division of Plastic Surgeons, Teaching Course, Beverly Hills, California. “Aesthetic and Oculoplastic Pearls”, Loma Linda University Division of Plastic Surgery Grand Rounds, June, 2002. “Update on Cheeklift Facial Rejuvenation”, Aesthetic Society Meeting, New York , New York , May, 2001, Resident and Fellows Forum. “Closure of Complex Upper Abdominal Wounds using the Tensor Fascia Lata Free Flap,” Andrew T. Cohen, M.D. F.A.C.S., Ben J. Childers, M.D., Doug Hendricks, M.D. Cytokine Effects in Breast Capsular Contracture, An animal model studying the effects of cytokines on breast capsules. 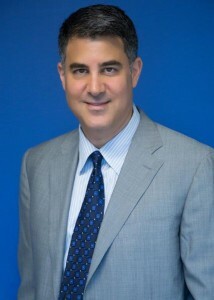 Andrew T. Cohen, M.D. F.A.C.S., Ashton Kaidi, M.D., Christopher L. Johnson, M.D., Robert Hardesty, M.D. Cheek Anatomy, An anatomic review and comparison of mid-face malar fat pad imbrication techniques – Instructional Video, Slides, May, 1999 Presented at the New Frontiers in Aesthetic Surgery- Teaching Course. Andrew T. Cohen, M.D. F.A.C.S., Gordon Sasaki, M.D. “Meloplication of Malar Fat Pads By Percutaneous Cable –Suture Technique for Midface Rejuvenation: Outcome Study (392 cases 6 yr experience),” Gordon Sasaki, M.D., Andrew Cohen, M.D. Photography, Scuba Diving, Running, Camping, Skiing, River rafting, Fishing.